THE MERCATO CENTRALE EXPERIENCE IS COMING TO SUBIC STARTING OCTOBER 5! Join us for the OPENING OF PORTO CENA – the Premier Night and Food Lifestyle Market of Subic at Ayala’s Harbor Point Mall, Olongapo City! Where the best home-grown food entrepreneurs of Subic Bay Freeport, Olongapo City and Zambales converge with Manila’s best-selling night food vendors. Enjoy a variety of great-tasting & affordable food choices, live acoustic music & free entrance! Open every Friday and Saturday 4pm-3am starting OCTOBER 5. Brought to you by Mercato Centrale group, the organizers of Manila’s most popular night food markets. 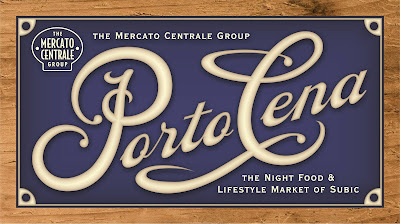 For interested food and bazaar vendors from Manila, Subic, Olongapo and Zambales who want to join PORTO CENA, please contact (+63 917) 840-1152 or (+632) 812-0102 or email admin@mercatocentrale.ph or visit www.facebook.com/portocena. You can also pick up an application form at the administration office of Ayala’s Harbor Point Mall."